Are there still a few of you who do this ancient skill ? any more taken it up since a previous topic similar ? I do a little, though I'm very rusty. I won't pretend to any great skill with it though, I can rough out a core and srike off a pile of blades, but I've never got the hang of handaxes or tanged arrowheads. I know a few people who can do it, but they're archaeologists. It is comparatively common these days compared to what it used to be like, ie 1 person, or so I understand. I did a day with John Lord last year, fantastic one to two tuition with the main man of UK flint knapping for £60 each including lunch. This is one I made on the day though I was better at hand axes. John Lord is wonderful, his skill is immense, making knapping look so easy. Karl Lee is also out there and pretty much spot on too, hell of a skill to have in my opinion, I believe John and Karl both do courses, when I last looked John was pretty much booked up for a long time in advance (but always worth having a try to get in I suppose), and as far as I know Karl is still running courses. PM'ing Flintknapper on here will get you in touch with Karl Lees wife. KArl Lee's a good guy, very helpful. I met him last week. 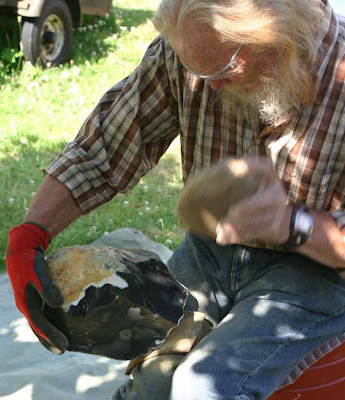 Special Flintknapping Workshop Offer with Karl Lee, one of the countries leading Flintknappers. For December and January bookings only!! 15 % off on one-on-one workshops. Only £93.50 for a full days workshop from 10-4pm. This includes all use of flint and material and everything you make you take home. From handaxes to arrowheads depending on experience. 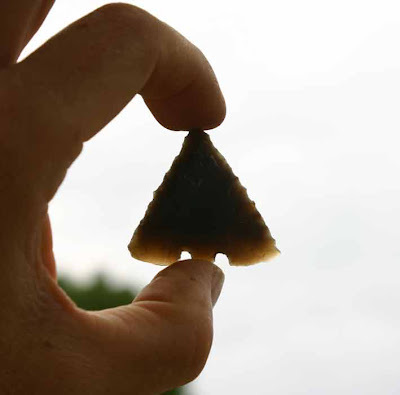 Also, buy one day workshops and get another half price, therefore only £165 for two days of one-on-one flintknapping tuition. 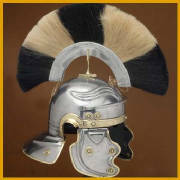 Vouchers are also available for Christmas Presents. Please email Rebecca.Lee@gloucestershire.gov.uk or primitivetechnologyuk@yahoo.com for details and bookings.